It is that time of the year again! The biggest tournament series of the year is no underway in Las Vegas at the Rio All-Suites. That’s right! 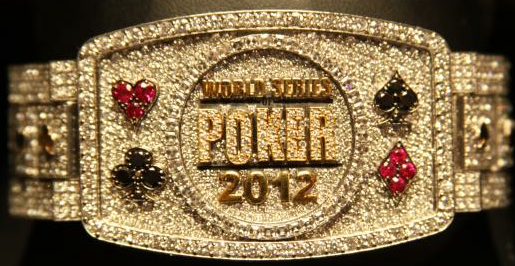 The World Series of Poker is back and bigger then ever. 61 events will be played over 50 days of intense action. There are several changes this year, including the addition of the richest tournament ever played: a $1,000,000 charity tournament called the Big One for BIG DROP. Even though 11.1% of the prizepool will be going to the ONE DROP charity, this tournament will guarantee that Jamie Gold’s record for largest prize, set by winning the 2006 Main Event for $12 million dollars, will be broken. The November Nine will not technically exist this year – but that is only because of the U.S elections that are being held in early November. Instead, they will play out the final table in late October. The final nine players will play down to two on Sunday, October 28th and the heads-up match will be contested on Tuesday, October 30th. Another big change is the addition of 92 tables being added to the tournament area in the Brasilia Ballroom. This means that there will only be three starting days for the Main Event, instead of the previous four. These changes were made to make the event more user-friendly for everyday players, meaning players will not have to take so much time off work in order to play. The structure of the tournament will remain the same, with two-hour levels and 30,000 starting chips. Five levels will be played each day with 20-minute breaks in between and a 90-minute dinner break after the third level of the day.